Throughout the Millennia, the people of Oltrepò Pavese (Lombardy) have been continuously confronted with new experiences from which they gathered a lot of information, especially in the oenological field, since vine-growing has in Oltrepò Pavese pre-Roman origins. All this accumulated knowledge gives birth to the art, being practised since many centuries by vine-growers, of matching, in the same vineyard and in adequate proportions at planting, four species of vine which will be then harvested together and carefully sorted out. Four different grapes, fermentino in the same barrel, complement each other and form a unique matrix, which gives a powerful and extremely rich red wine. Croatina, Barbera, Uva Rara and Ughetta di Canneto are the four grape varieties used to make Historic Buttafuoco. They are all native species of Oltrepò Pavese, which have found in this region excellent environmental conditions for their growth and since centuries have constantly rewarded the work of wine makers. The robust structure of this wine is refined by a long ageing in oak barrels, a process ending in the bottle, sealed with first quality corks and kept laid down in the darkness of cellars, at constant temperature. Historic Buttafuoco is produced on a hilly promontori overlooking the river Po plain, bearing the name of “Stradella Spur”, that is considered to be the most northern part of the Appennine Mountains. The area, delimited by two streams, named Versa and Scuropasso, is characterized by a very particular subsoil, in which the limestones and related sedimentary strata of the Appennines meet with Alpine deposits, thus creating a unique environment that indelibly brands the grapes which are grown there. 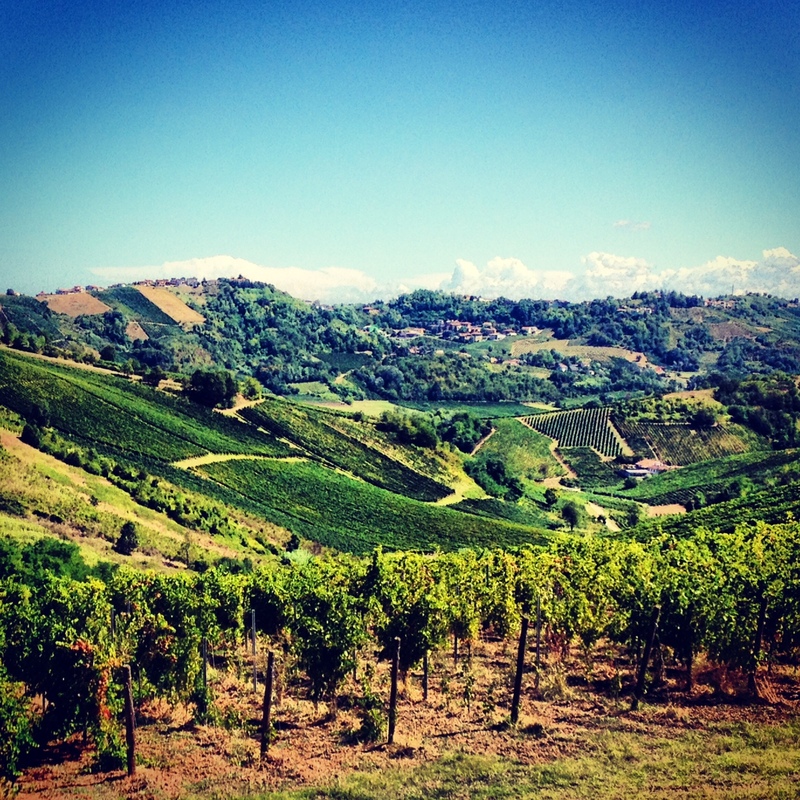 The excellent sun exposure provided by the steep sloping hills, alongside with the strongly mineral soil and the expert hands of local wine growers gives Historic Buttafuoco unique quality. Because of its strategic position, in the past, Stradella Spur was an inescapable transit point for all east-west and north-south bound movements of ancient populations, armies, pilgrims and traders. The original Trade Mark engraved on the bottle, representing a sailing ship, is a reminiscence of ancient war times and guaranties the birthplace of this great red wine. 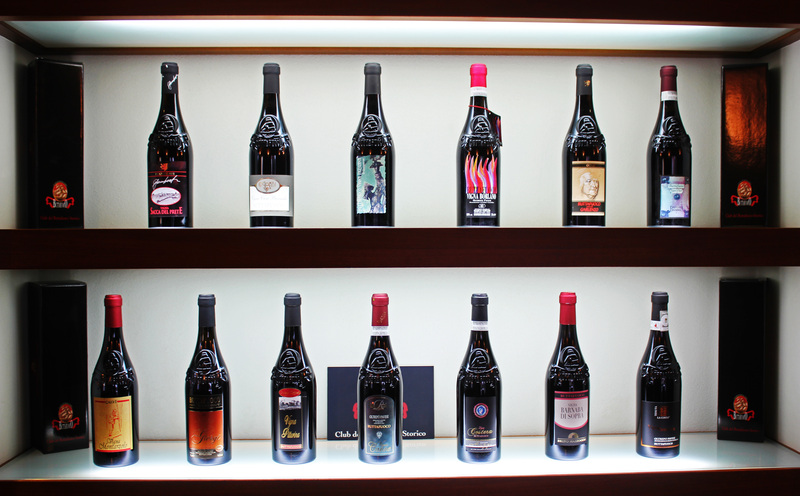 The name of the vineyard of origin always appears on the label to certify the identity of the wine grower as well as the exact place where each of these Historic Buttafuoco wines was born. A numbered stamp placed on the bottle neck states the quality rating awarded to wine’s year of production, which is measured by number of “fires” (from a minimum of three up to six fires). Historic Buttafuoco can be tasted either “young”, three of four years after harvest, to appreciate the fruity notes, the strong minerality and complexity, or in full “maturity” after fifteen or more years, its initial power having then moved to Majestic aristocracy. The re-markable quantity of natural antioxidants inherited from the rich grapes gave this wine the reputation to have anti-ageing power, so much that, in the past, wine growers, who kept it for special occasions, considered it an elixir of long life. 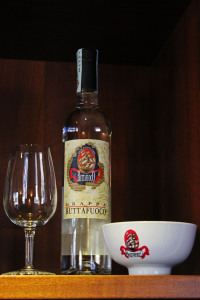 Grappa Buttafuoco, with the trademark of the sailor ship on its label, derives from the dregs of Historic Buttafuoco’s life long fermentation. The peel of the four grapes separated from the precious wine is immediately protected from the contact with air and taken to the Distillery in the shortest time, where the Master Franco Rovero provide to extract the liquid. The distillation takes place discontinuously in a small copper pot still, then grappa is left to rest for at least one year without undergoing any kind of flavoring, not even that of wood, to preserve the soul of its origins. 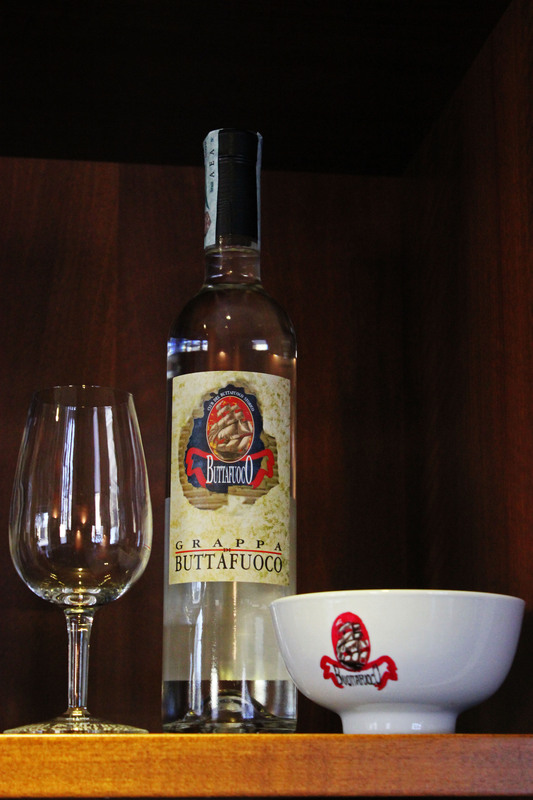 Grappa Buttafuoco is white with an intense flavour of dried fruit and mineral notes very warmon the palate , enveloping and soft with a clean final sensation.